Yeah, I know, that is kind of a goofy title. But stay with me for a minute. There are many reasons why people set off on a boat to explore or follow a dream. While I have written about this before, I decided to revisit it again, as I meet too many cruisers who fall into delivery mode, glazed mind and eyes focused on the end game, rather than enjoying the moment. It is not a movers vs stayers thing, but more like movers with blinders on. There are many boats passing through Annapolis right now on their Great Loop travels. I went to a lunch over the weekend with some of those passing through town, and learned that most of them will only spend a few days in Chesapeake Bay. Once they leave Norfolk, they generally head up the Bay to the C&D Canal, stopping once or twice, into Delaware Bay then down to Cape May, New Jersey. It is the dotted line on the Great Loop map, followed by sailors and trawler folks alike. The mooring field on Spa Creek in Annapolis. This is a very busy destination during the season, with watercraft of every size and shape. Sadly, they are in town so briefly they miss many of the cool things to do and see here in Annapolis. In fact, I returned later to take some pictures of these Loopers, but they were already gone. This isn't just an Annapolis thing, but pretty much anywhere when cruisers don't take the time to experience the places they stop along the way. For those doing the Loop, it is especially so as they only have so much time. Even as I watch them sitting on their boats in Ego Alley, they are busy planning the next day's departure and worried about the infamous run up the New Jersey coast, not enjoying ice cream and people watching on the seawall with everyone else. It is a real balancing act, trying to do and see as much as one can within a specific window of time. I applaud those who get it done and understand why some decide to go around more than once. But it is a shame to stop in Annapolis and not walk around the Naval Academy, or take in the town's many events and attractions, where there is always something going on. To pass through Chesapeake Bay and not see St. Michaels or Baltimore's Inner Harbor...one can easily spend years exploring the Bay. The same is true in the Great Lakes and most other parts of our waterways, such as the stretch down the Tenn-Tom. Unfortunately, when the big picture goal is to complete the Great Loop in a year or more, it can be a real effort to decide when to stay and when to go. It is such a personal experience, and following someone else's blog or breadcrumbs is not the answer. I congratulate all who complete the Great Loop. Traveling a 6,000-mile circle around North America takes time, and what compounds this (and the reason for the goofy title), is that being on a boat for a long time, always moving, always thinking of the next section ahead of you, stopping briefly in a blur for fuel, food, and weather, can develop into a certain delivery attitude that contradicts what "cruising" is all about. It has happened to me often enough that now I recognize it. As I write this, delivery captains, Jerry and Wendy Taylor, have been underway without break for about 40 days now, bringing a Krogen from Stuart, Florida, to its new home in the Great Lakes. Experienced professionals doing a delivery, they don't take off rest days to visit local farmers markets or museums, or kick back on a nearby beach. It is a service they perform to the best of their professional abilities, which is satisfying but still serious professional work. This is not pleasure boating to the Taylors. Is that what you want? I was once on a boat traveling north on the St Clair River into Lake Huron. We hugged the Michigan shore and stopped in Port Austin. We got off the boat and walked around town, looking to see if anything special was going on while we were there. What luck! We learned that town officials were hosting a talent show for the community that very evening. We enjoyed an early dinner then entered the barn theater for the show. It was the picture of Americana, complete with pledging allegiance to the flag. The town's attorney was quite the comedian, mixing lawyer jokes into his routine that had everyone in stitches. As the show went from act to act, I glanced around the theater and saw many happy faces, relaxed, totally at home with their neighbors. Definitely a community feeling. The evening was special and made me feel so good. It is a memory I will never forget. What a shame to miss such an evening by sitting at the saloon table, plotting the next day's run. Another time I was in Jewfish Creek in the Florida Keys. The marina was one of those quaint facilities you find in the Keys that has a bit of everything but not a lot of anything. We happened to arrive the day before a local fisherman was to marry his Russian bride, and they were having the reception at the marina, and we were invited. It was a casual local experience, she was stunning, and the evening was a hoot, complete with crab races, beer, and banjo music. Getting out of the pilothouse and away from chart guides and online resources is an opportunity that may give you some great new experiences, and isn't that the point? I had a nice conversation with a couple the other day who hope to do the Loop someday, but don't see a window in the foreseeable future because of life, grandkids, and other interests. They have a perfect boat for the adventure, but don't see how they can take a year off. I asked if they could take a couple of months, such as this summer, to do a section of it. They had not thought of that, but the idea took hold. We discussed how they could head up the Hudson from Chesapeake Bay, turn left at Waterford, transit the Erie Canal to Lake Ontario. Then up to Kingston into the Rideau Canal over to Ottawa, eventually entering Lake Champlain and back down the Hudson on their way home. Wonderful trip, plenty to see, and a fabulous way to spend the summer in cool weather. Jones Falls Lock on the Rideau Canal, which links Kingston, Ontario to Ottawa. One can then continue on to Montreal and Lake Champlain. Would you cruise the San Juan Islands and not spend time in Friday Harbor, or Roche Harbor? Visit the Thousand Islands but not go to the Antique Boat Museum in Clayton, New York? Or Savannah's River Walk, or Mackinac Island? A fellow I know sailed his Valiant around the world. Listening to him talk as he checked off one place after another on his circumnavigation, he could not tell me much about the places he visited. Not visited, really, just stopped for provisions and souvenirs to show he'd been there. From the sound of it, I doubt he got off the boat much either. What a shame. I contrast that to a couple I know on a Nordhavn 57, who might stay a month to get to know the locals and the feel of the land. Their stories are rich with detail of world travel at the ground level. Speaking of Nordhavn, remember that Nordhavn 40 going round the world with hardly a break, except to refuel, change crew, and provision? Talk about delivery mode!?! Who came up with that? To not stop and highlight the many exotic islands of the South Pacific, or any number of exotic destinations to explore, take pictures, make memories, share stories...really sell the dream. 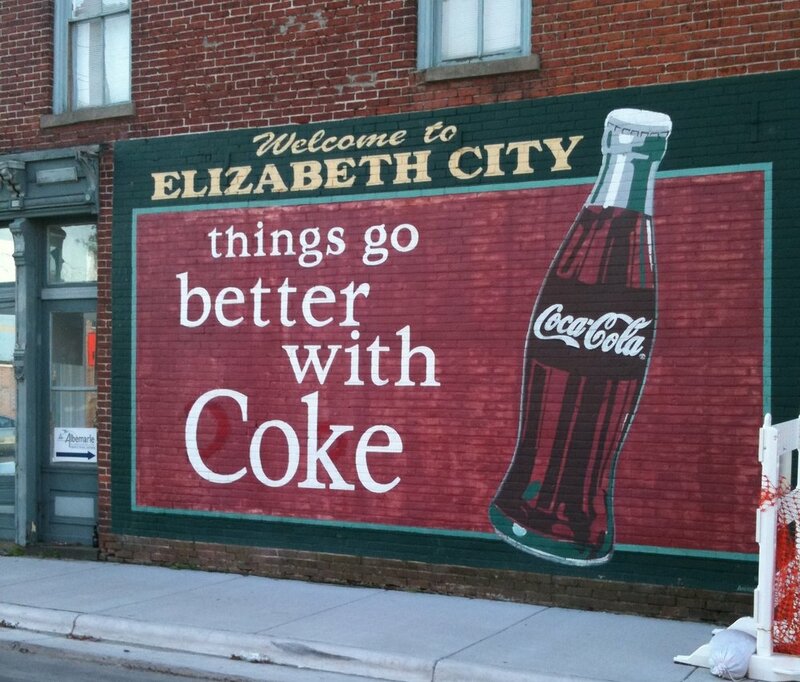 A marketing idea gone amuck, or, as a millennial I know would say, tragic. Their goal was to sell boats, of course, but just think how much more engaging it could have been, instead of an uncomfortable delivery with crew sleeping on the saloon sole because they kept moving. I ruffled a lot of feathers by not buying into this lost opportunity to embrace cruising, promote safe adventure, and put the dream on the bucket list of more people. 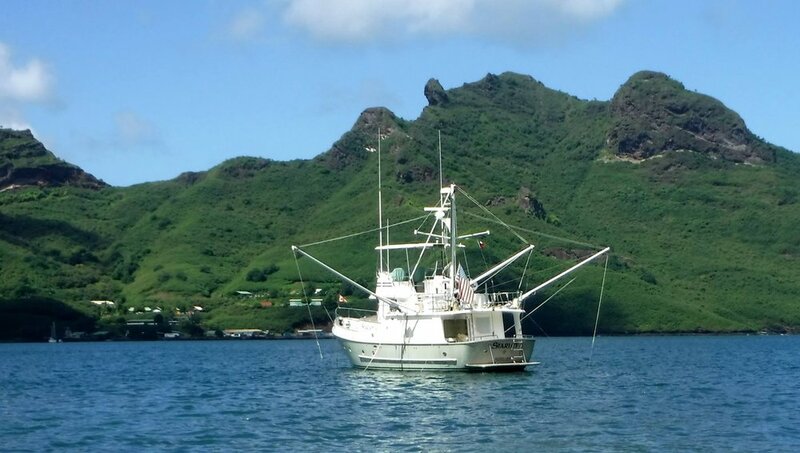 In contrast, there is a nice, adventurous couple cruising the Marquesas also as I write this on Starlet, a Nordhavn 46. I'd met them awhile back at Trawler Fest in Baltimore. They are doing it right, taking their time, embracing their surroundings while living in the moment. They won't need to do this twice. I follow them on Facebook. Starlet in Nuku HIva, French Polynesia. They are taking their time to see, explore, and experience the world in the moment. Good for them! There are many reasons and ways to circumnavigate the globe, do the Loop, or spend summers in Alaska and winters in the Caribbean. Do it all at once, do it in small chunks, or only do a little bit. Some prefer to go back to the same places, year after year. It doesn't matter, really, as long as it makes you happy and you are living your life on your terms. When I ask cruisers, both new and experienced, what was the best part of their recent trip, the unanimous answer (and I mean 100 percent) is always the people they met, the places they visited. No one ever answers they most relished the many miles on the water. And that is hard to do when you are in delivery mode, day after day of relentless travel, nomads drifting across the desert sands. You may get to the other side, but who did you meet, and what did you see, do, feel, and eat? A point to keep in mind.